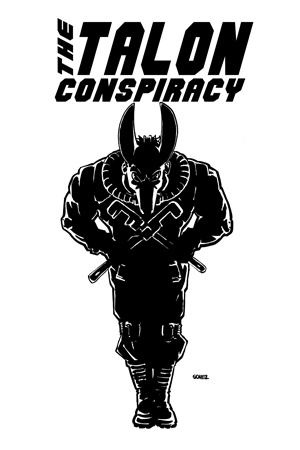 Throughout the mid to late 1990’s at least one illegal direct action happened somewhere in the United States every day. Many of these actions were somewhat futile- at least on their face. While it is true that a glued lock or a spray painted wall means very little to companies like McDonalds, it is also true that no one is born with the skill set to make revolutionary change for non-humans. We can only learn through trial and error, and gaining the confidence to undertake bigger actions often starts with something small like breaking a window. Fortunately, actions that are unlikely to gain public sympathy aren’t the only low-risk way to build confidence and save lives. Consider, for example, egg farms. Although egg consumption in the United States is declining, battery farms are still everywhere. They are easy to find, largely unprotected, and simple to enter. The animals housed on these farms are in desperate need of liberation, and the only difficulty in doing so is finding them homes. In today’s era of urban chickens, this is getting easier. Any vegan with a back yard and the resources to buy or build simple housing could provide one of these beautiful creatures with a better life. 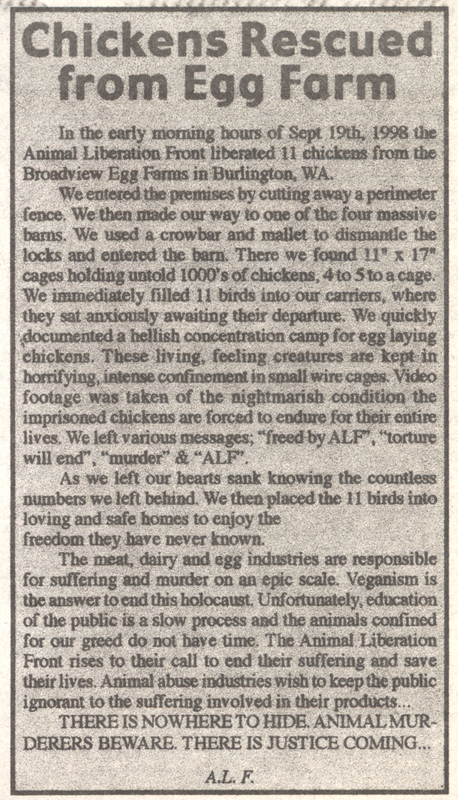 In 1998 one small group of people decided to raid an egg farm in Burlington, Washington. They shot a video of the action and distributed it to media outlets and supportive activists. Most of the news coverage was positive, 11 chickens were saved from a short life of misery and imprisonment, and I like to imagine that the action had a positive, skill building effect on the activists themselves. Presented below is the video itself, along with the media statement sent by the rescuers.